1. 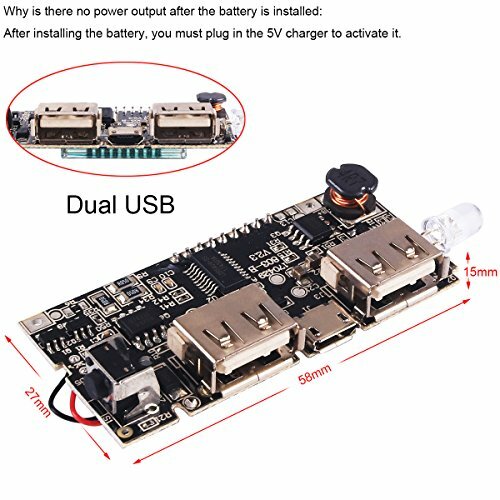 The B+ and B- connected to the boosted battery must not be reversed. 3. 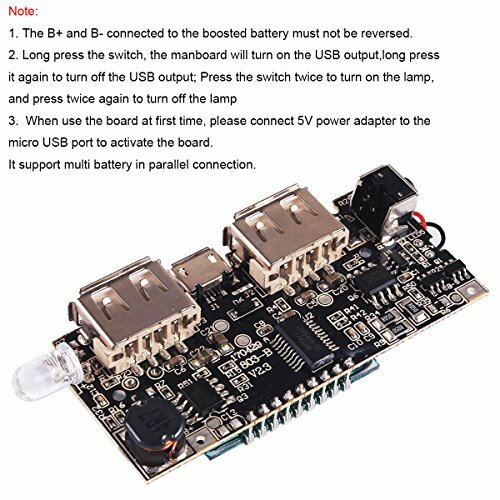 When use the board at first time, please connect 5V power adapter to the micro USB port to activate the board. It support multi battery in parallel connection. 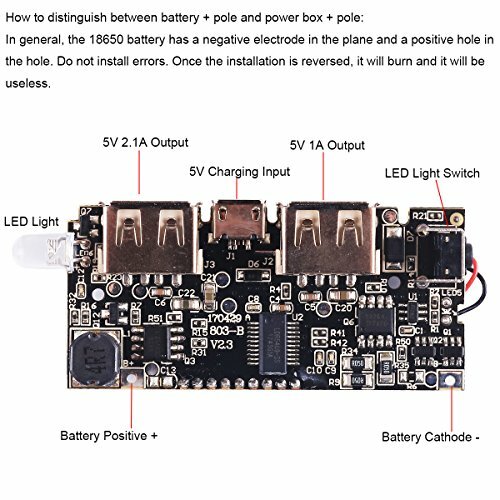 In general, the 18650 battery has a negative electrode in the plane, and a positive hole in the hole. Must not be installed anti-battery, anti-burn once installed, and then loading pairs is useless. After installing the battery, you must plug in the 5V charger to activate it. 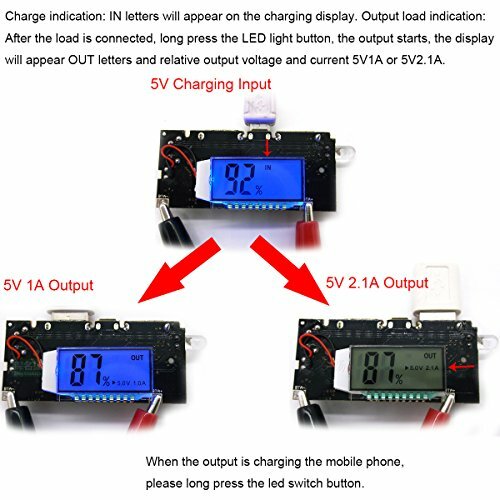 Charge indication: IN letters will appear on the charging display. 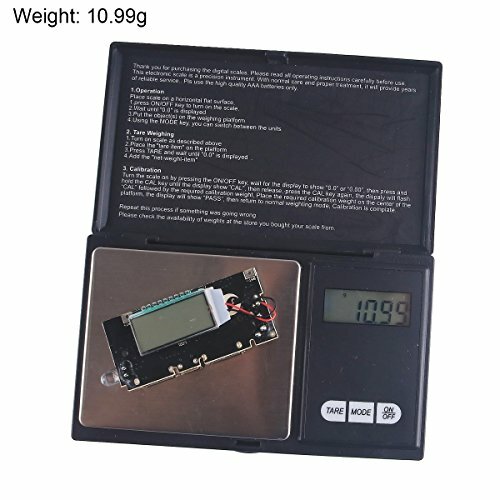 Output load indication: After the load is connected, long press the LED light button, the output starts, the display will appear OUT letters and relative output voltage and current 5V1A or 5V2.1A. 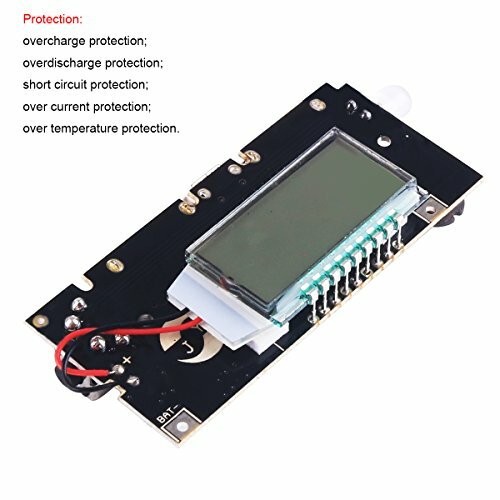 Protection function: The protection circuit of the boosted lithium battery has been integrated to prevent over-discharge, over-charge, and overload. Can receive a section of lithium battery can also be connected in parallel multi-section lithium battery. 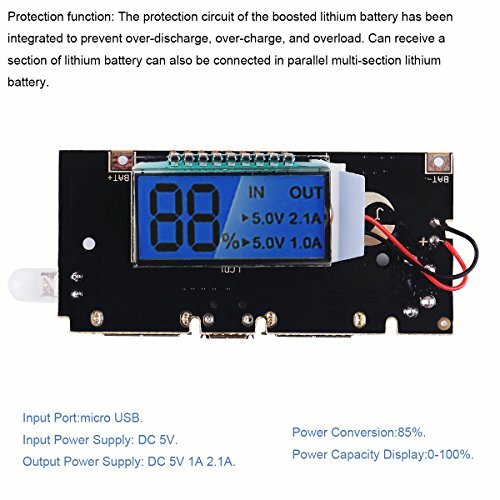 Power Capacity Display:0-100%. The capacity does not exceed 200,000 milliamps and the voltage of 3.-4.2V can be used.Lithium positive electrode B+ lithium negative electrode B-. Note: The B+ and B- connected to the boosted battery must not be reversed. Features:Size: 58MM*27MM*15MM. Input Port:micro USB. Input Power Supply: DC 5V. Output Power Supply: DC 5V 1A 2.1A. Power Conversion:85%. protection:overcharge protection,overdischarge protection, short circuit protection,over current protection,over temperature protection. 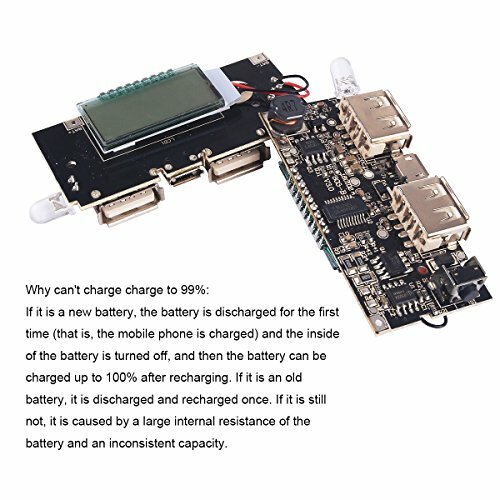 Why can't charge charge to 99%: If it is a new battery, the battery is discharged for the first time (that is, the mobile phone is charged) and the inside of the battery is turned off, and then the battery can be charged up to 100% after recharging. If it is an old battery, it is discharged and recharged once. If it is still not, it is caused by a large internal resistance of the battery and an inconsistent capacity. 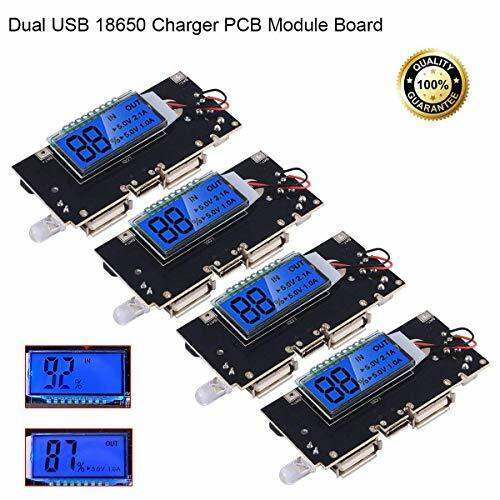 Why did you just install the battery and the percentage was not displayed, and obviously only 50% of the batteries were loaded to show 80%: The first time the battery is discharged, the battery is discharged (ie, the phone is charged). The inside of the battery is turned off, and then the battery is recharged and the balance is displayed. All digital power supplies are like this.